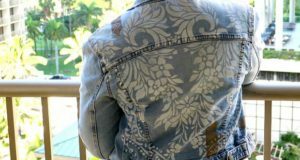 A few months ago on Paint+Pattern I created stenciled artwork from some grey slate. It has graced the niche in our master bathroom since then, and I enjoy it everyday. However, I am one who likes to change up a little spot like this, which is where our traditional medicine cabinet used to be. Hubby removed it and framed in the gaping hole to create this little display spot for me. 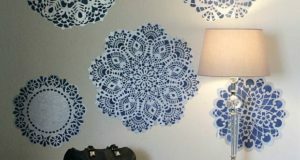 I thought a simple stencil project with Royal Stencil Creme paints might be the perfect addition for this accent wall…. Find the center of the niche and tape the stencil in place. Dip the tips of the stencil brush in the Bronze Age and offload excess paint on paper towels using a swirling motion. Using a swirling motion again, stencil the entire design. 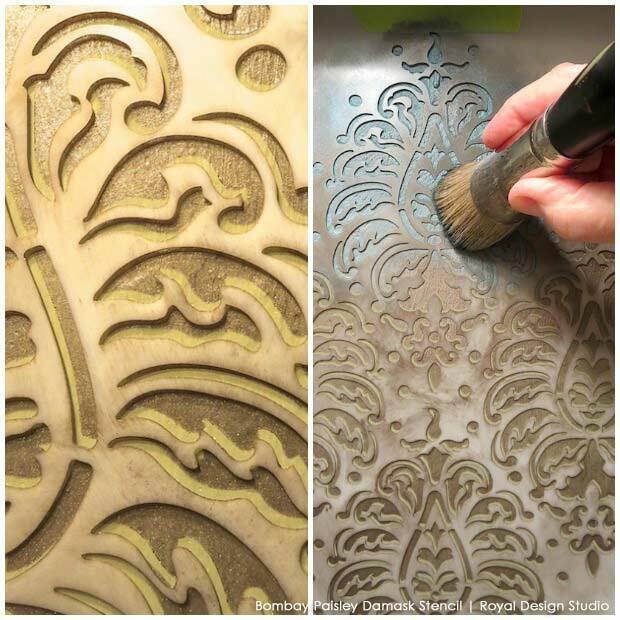 For this project I decided to just stencil one repeat of the pattern, which has a nice diamond shape to it. If I had wanted to, I could have used the registration marks in the stencil design to repeat the pattern all over the back wall of the niche. Let the Stencil Creme Paint dry for about 15 minutes before going on to Step 2. Re-position the stencil exactly on top of the Bronze Age stenciled pattern you just painted. 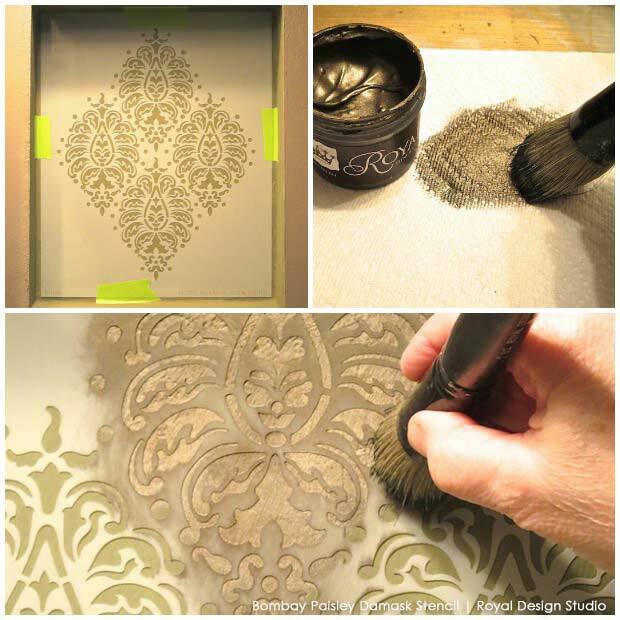 To create a slight shadow effect, move the stencil down about 1/16” and left 1/16”. Check to see that all of the open areas are about the same size, like in the photo. 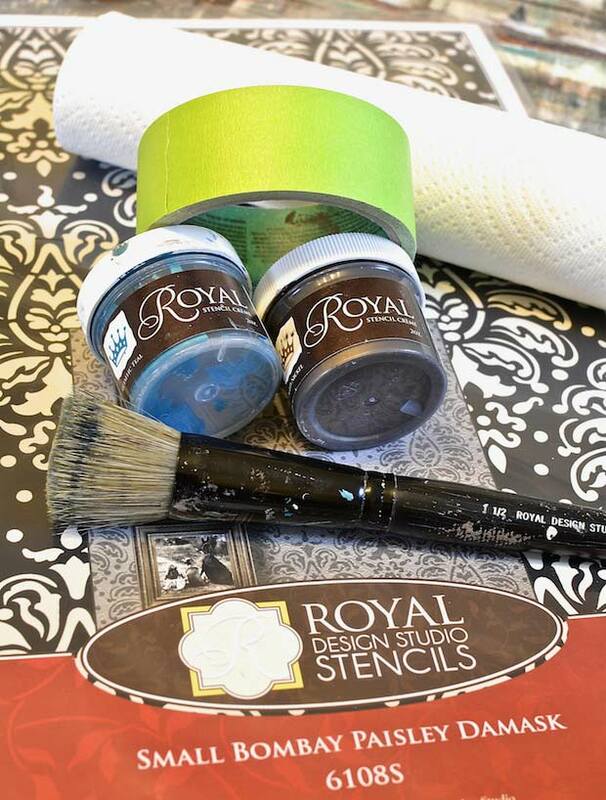 Stencil the entire design using Metallic Teal Royal Stencil Creme. And done! Now you have a pretty focal point area with a bit of soft bling to enjoy as is, or add simple and small home décor items or flowers. Gorgeous! 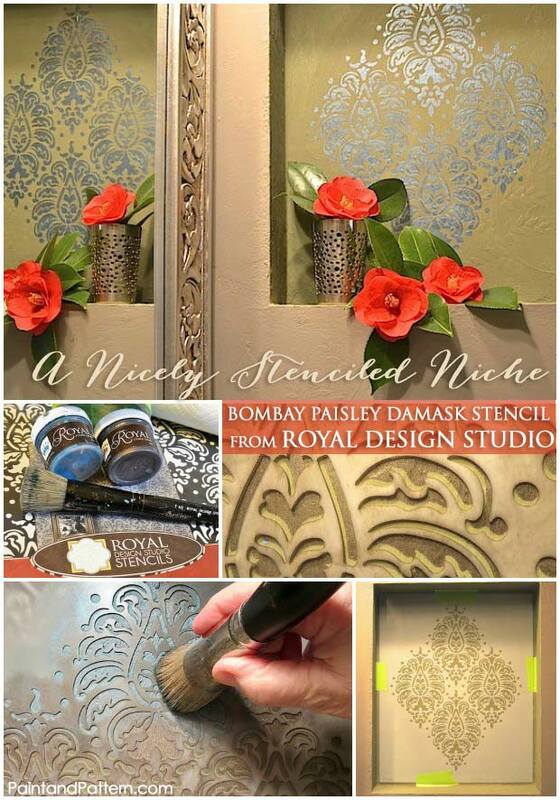 You may notice that our niche has texture and even a previously stenciled raised fern pattern that looks great with the new stencil design and does not compete with it at all. 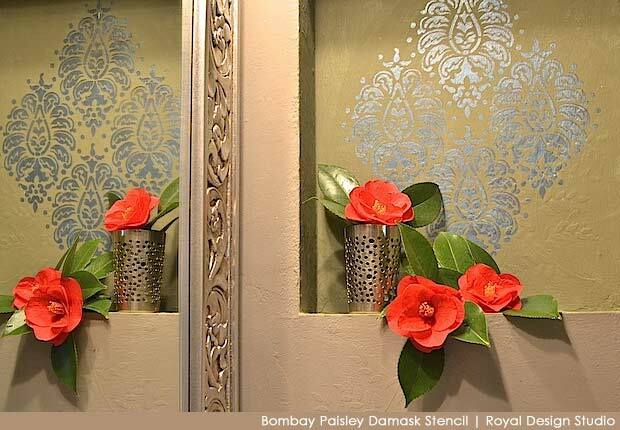 Do you have a similar area or accent wall that you’d like to embellish? 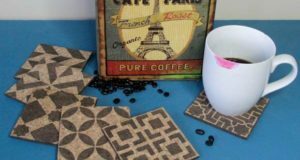 This simple stenciling project took about 30 minutes and I love the look! 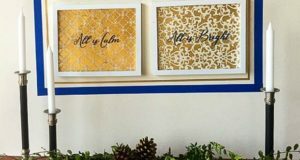 I can still hang my artwork over the stenciling at times, or add fresh camellias and other North Carolina blooms in season. Later in April on Paint + Pattern I will be creating some very cool rust and patina magic inside door panels in another bathroom in our home. See you back here soon! Guests below 16 years old are not allowed in the spa. Yay google is my king aided me to find this outstandingwebsite! Regardless of all the possibilities, an escorts arrangement makes up for a perfect choice of surprise for individuals belonging to all types of clients.My professional Delhi Escorts Service are experienced and specialized who love what they do.Each escorts girl is a gifted with an exclusive style thisis the great companion to any event. Here you can see in my gallery page!You can find real & hot pics as I captured with my phone within my rooms, I haveup to date my gallery page once in a week.